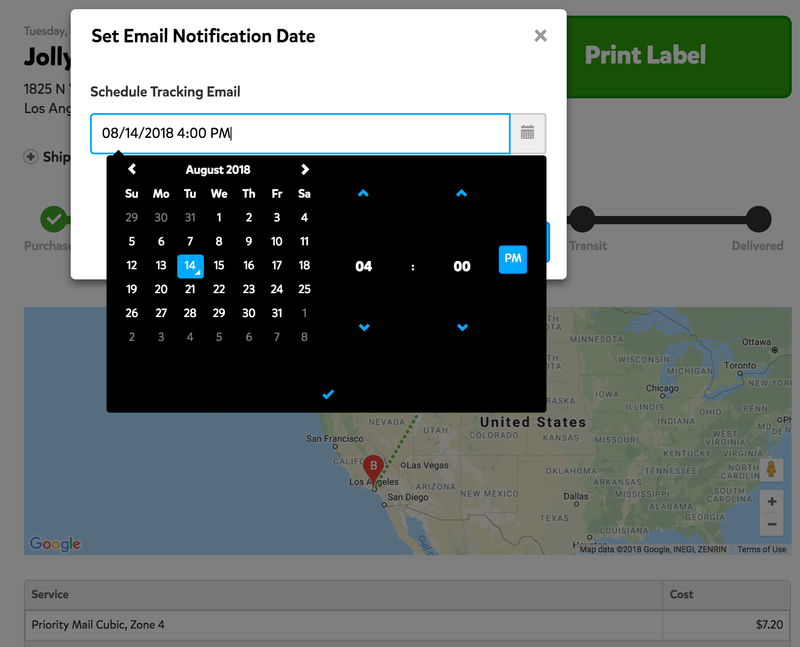 Can I customize my tracking email? 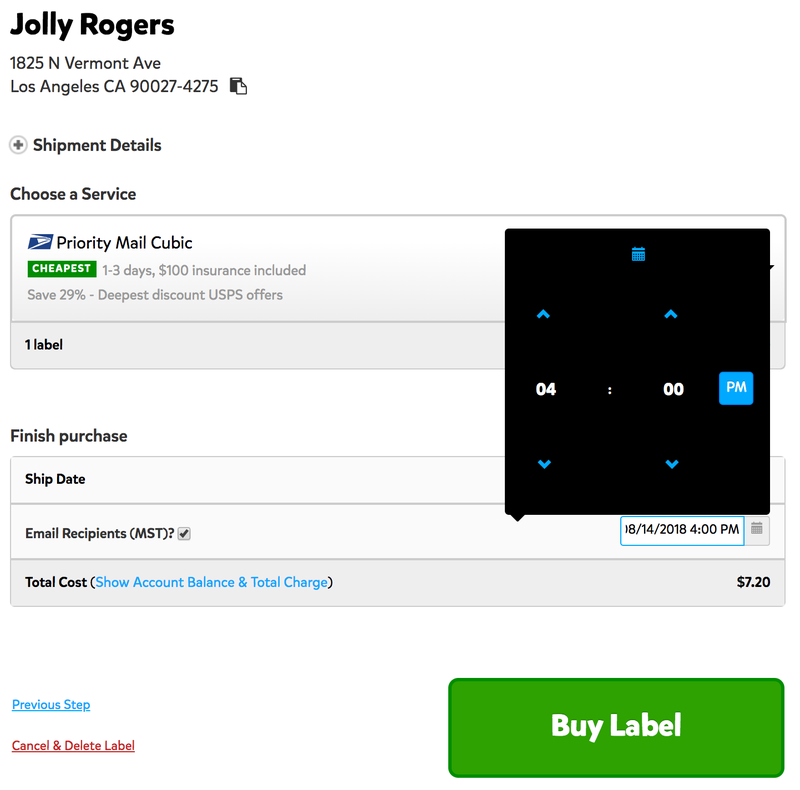 In Pirate Ship, you can choose your Ship Date and when your Tracking Emails will be sent. 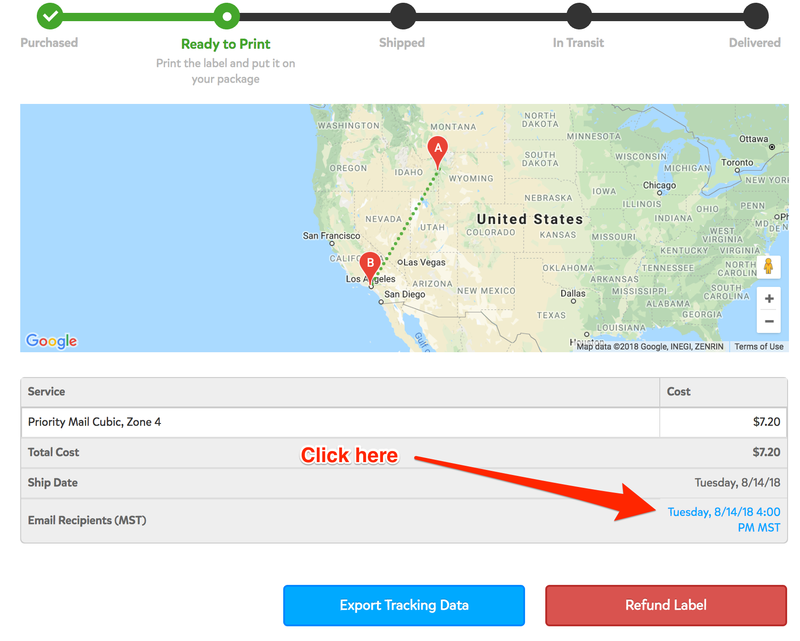 To send tracking emails, you'll either need to enter the email address of the recipient manually, or make sure that your import from one of our integrations contains an email address. 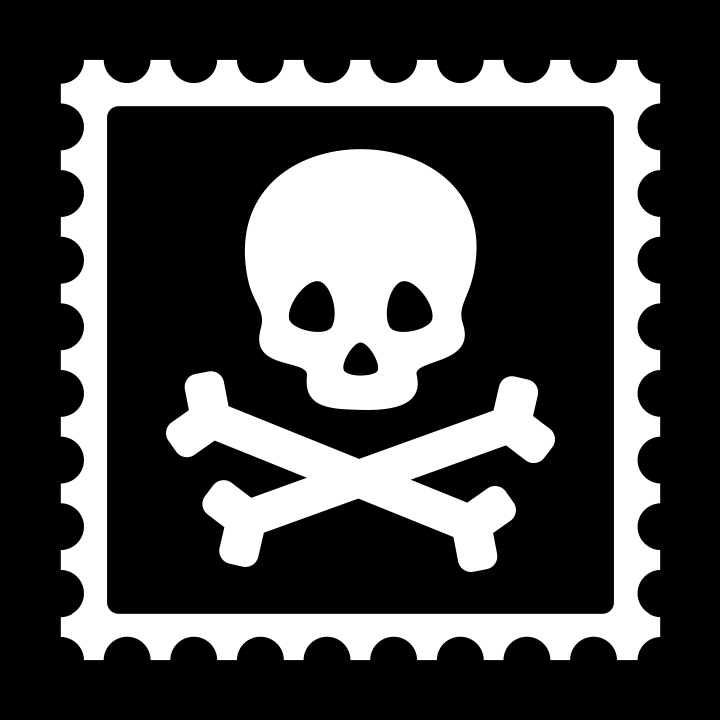 Please keep in mind that if the default time has already elapsed, and the emails have been sent, you cannot unsend them or alter the email time. You can also set up email templates by going to Settings > Tracking Emails and select which template you'd like to use from the dropdown. To send yourself a copy of every tracking email, head to Settings > Tracking Emails > Edit Template > Add your email to the BCC field. Can I choose my ship date?